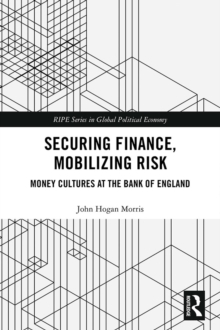 Drawing on the history of modern finance, as well as the sociology of money and risk, this book examines how cultural understandings of finance have contributed to the increased capitalization of the UK financial system following the Global Financial Crisis. Providing both a geographically-inflected analysis and reappraisal of the concept of performativity, it demonstrates that financial risk management has a spatiality that helps to inform understandings and imaginaries of the risks associated with money and finance. The book traces the development of understandings of risk at the Bank of England, with an analysis that spans some 1000 reports, documents and speeches alongside elite interviews with past and present employees at the central bank. The author argues that the Bank has moved from a relatively broad-brush approach to the risks being managed in the financial sector, to a greater preoccupation with the understanding and mapping of the mobilization of financial risk. The study of financial practices from a critical social sciences and humanities perspective has grown rapidly since the Global Financial Crisis and this book will be of interest to multiple subject areas including IPE, economic geography, sociology of finance, and critical security studies. John Hogan Morris is Research Assistant in Responsible Finance in the Centre for Business in Society at Coventry University. He completed his PhD in 2015 in the Geography Department at Durham University (UK), and earlier that year his work won ‘Best Graduate Student Paper’ at the New Directions in International Political Economy Conference at University of Warwick. John has published in the Journal of Cultural Economy and is currently co-editing a special issue on ‘Security and Finance’ in the journal Finance & Society. He also has a section on ‘Financial Security’ in the International Political Economy of Everyday Life project. 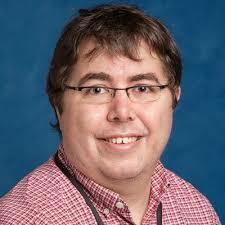 He has taught Economic Geography and International Political Economy at Durham University and University College London. John was an invited judge at the London Area Final of the Bank of England’s Two Point Zero challenge and has provided informal advice on public communications to the European Central Bank.